For an expert roof installation in the Cincinnati, Ohio, area, turn to the seasoned professionals at Advantage Roofing & Home Exteriors. Since 2001, we have been helping homeowners better protect their houses and improve their curb appeal by installing premium roofs. Our roof installations are always completed by skilled professionals who are highly experienced and have installed hundreds of roofs. Additionally, no roof installation is ever considered complete without our final inspection, during which we make certain every single detail has been taken care of, including cleanup. Our dedication to professional installations and customer satisfaction is one of the reasons we have maintained an A+ rating with the Better Business Bureau for many years. When you choose Advantage Roofing for a roof installation, you can look forward to having an experienced project manager assigned to help you prepare and to oversee the entire process. This helps ensure that all of your questions and concerns about your roof installation are promptly addressed. What’s more, because we stand behind our products and services, we are happy to provide outstanding warranties that cover both the product and labor for up to 50 years. For these reasons, we have earned the reputation of being the area’s most reliable, trusted, and recommended roofing company. 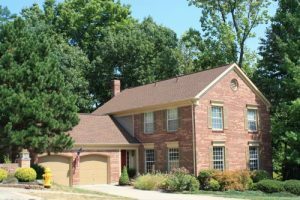 If you would like to learn more about the roof installation services we offer to homeowners in the Cincinnati, OH, area, contact Advantage Roofing & Home Exteriors today.